Click here to listen + buy! 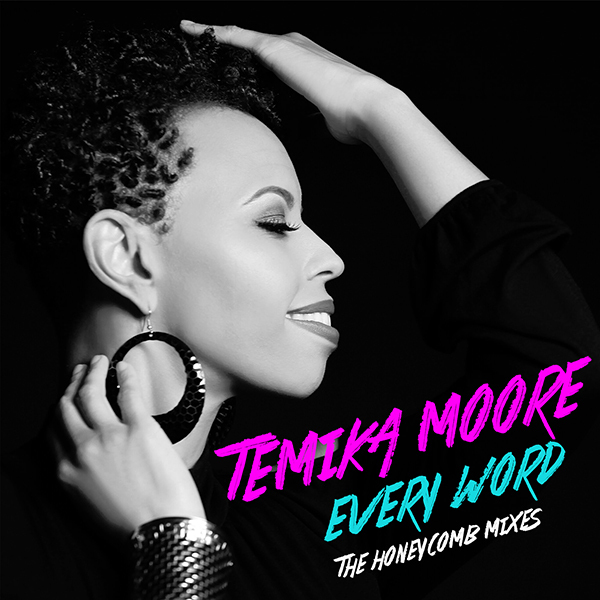 Honeycomb Music is proud to present Temika Moore's incredibly uplifting new remix single! "Every Word" is a song unique to those who are forging paths to the unknown; those on the road less traveled. "Every Word" speaks to the heart of dreamers and realists alike. This is Temika Moore's sweet spot. She's right in the pocket - insight, a catchy hook, clean vocals and the magic of Honeycomb Music's own Josh Milan! Funky friends Tee Alford and Scott Wozniak round out this stellar package with their Funky People Rework - enjoy! Written by Temika A. Moore. Honeycomb Mixes produced by Josh Milan. All vocals performed by Temika Moore. Published by Pink Panna Music Publishing (ASCAP). Honeycomb Mixes recorded and mixed by Josh Milan at Honeycomb Music Studios in East Stroudsburg, PA.
Honeycomb Mixes mastered by Adam Cruz at EbbnFlow Studios in Bloomfield, NJ. Funky People Remixes produced by Tee Alford for Funky People Music®. Funky People Remixes engineered and mastered by Scott Wozniak at Woz's Lab, Brooklyn, NY. Keys and additional production by Scott Wozniak. Recorded at the Funk Hut, Washington, DC. Distributed by Company, a Division of Mixtape Sessions Music, LLC.